The ARC Centre is a refurbished building based within Sallyswood estate, owned and managed by local people, identifying local need and working in partnership with statutory agencies to table responses. ARC has an exemplar track record in the development and delivery of service, and is widely regarded as being at the forefront of one most transformational changes in the UK. HQ is still based in Sallyswood estate, once regarded as one of the most problematic estates in Northern Ireland. Visits to the project have included the President of Ireland, the Prime Minster, a wide range of devolved Ministers, and Royal visitors, yet the real VIPs remain as always the local community, availing of service day and daily. 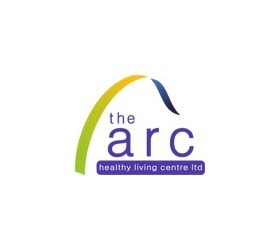 The ARC strives on encouraging volunteers across all projects within the ARC Healthy Living Centre. The ARC has 104 registered volunteers; Last summer during our summer programme we had a team of 18 youth volunteers who undertook over 1,444hrs of volunteering over 7 weeks. The existing team of volunteers assist across all projects including our Surestart, Child Contact Centre & Active Allsorts Afterschools on a weekly basis. One of our programmes, CHIT CHAT; has been running without external funding due and delivery is facilitated with support from 5 permanent volunteers (3 volunteers with disabilities). The use of the volunteers across the ARC is a vital assistance to the core team of workers in rolling out successful programmes. ARC has expanded its area of benefit, significantly sustaining and developing core services. ARC has completed a feasibility exercise on an environmental project addressing rural fuel poverty: Grass to Gas. This is an exciting, strategic rural project actively addressing fuel poverty in NIHE housing stock. ARC wish to establish a community owned bio gas facility serving the residents of Irvinestown. ARC has launched a new website and focused on wider communication of service - we are actively trying to promote health and wellbeing in the Northern Ireland context by sharing relevant reports and interesting stories via twitter @archlcltd1. ITEC is a non-profit taking company with an excellent track record in delivering capital projects. ITEC aims to increase economic development and employment opportunities in the town of Irvinestown and surrounding hinterland by active community participation in job creation and the promotion and creation of further job opportunities.